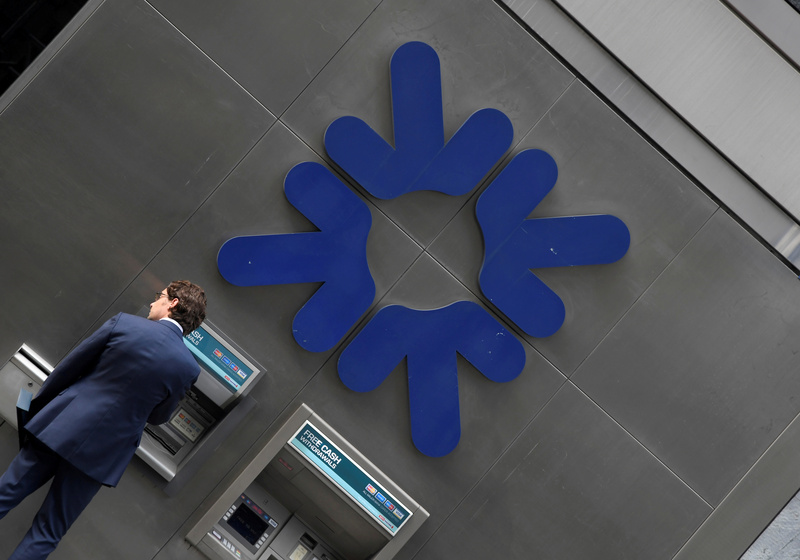 Royal Bank of Scotland reported a 47 percent rise in profit. A plausible 12 percent return target by 2020 could see the shares rise by almost half. The UK government, a majority shareholder, would do well to defer any share sales, unless it fears a chaotic departure from the EU. A customer uses an ATM at a branch of RBS (Royal Bank of Scotland) bank in the City of London financial district in London September 4, 2017. Royal Bank of Scotland on Feb. 15 reported 2.1 billion pounds in net profit for 2018 compared with 1.41 billion pounds for the previous year, on revenue which rose by 2 percent year-on-year to 13.4 billion pounds. The bank’s pre-tax profit increased by 50 percent year-on-year to 3.4 billion pounds, thanks to fewer one-off costs and sharply lower operating expenses. RBS’s common equity Tier 1 capital ratio was 16.2 percent, compared with 16.7 percent three months earlier. Return on tangible equity was 4.8 percent for the period, up from 2.2 percent a year ago. The lender proposed a final dividend of 3.5 pence per share and a special dividend of 7.5 pence per share. RBS shares were largely unchanged at 242.5 pence as of 0865 GMT on Feb. 15.